Tampa, FL – Nov 10, 2014: Close your eyes and listen to the background noise that pervades every moment of our busy lives. Unless you are in one of the quietest rooms in the world, you’re likely to hear the droning of electronic fans, honking of restless drivers, and ubiquitous drumming of hurried footsteps. In the year of 2014, with ever-increasing population densities and shared living spaces, it can be hard to get away from it all. The good news? A young startup in Tampa, FL is dissecting what it really means to live with constant noise in your life. With the help of professors from the University of South Florida, the company is researching new polymers and additives that can increase sound loss through their patented barrier system, without the headache of a heavy fabric. The answer, it seems, can be found in the combination of various ‘filler’ particle sizes (compounds added to the polymer host) to reduce the air voids in their curtains. Their initial product has found widespread success, around the country and the globe. With customers ranging from the US and Canada to the United Arab Emirates, it’s fair to say that noise is a problem for people in countries around the world. While their standard soundproof curtain costs around $120 and blocks 50-90% of the sound coming through windows, future versions may block much more. Says CEO Walker Peek, “we think our research will uncover a number of new options, where customers can select what type of noise is bothering them, and then customize their curtains to focus on those key sources”. The problem, he explains, is that different frequencies are much harder to block than others (especially lower frequencies, which have longer wavelengths). One solution is to increase the sound-blocking capability across the frequency spectrum, while another approach isolates low, troublesome frequencies. Regardless the noise that keeps you up, this innovative company hopes to bring peace and quiet to you in the near future. For more information, see their website at residential-acoustics.com. 4 Ways to Insulate Your Windows and Doors This Winter! 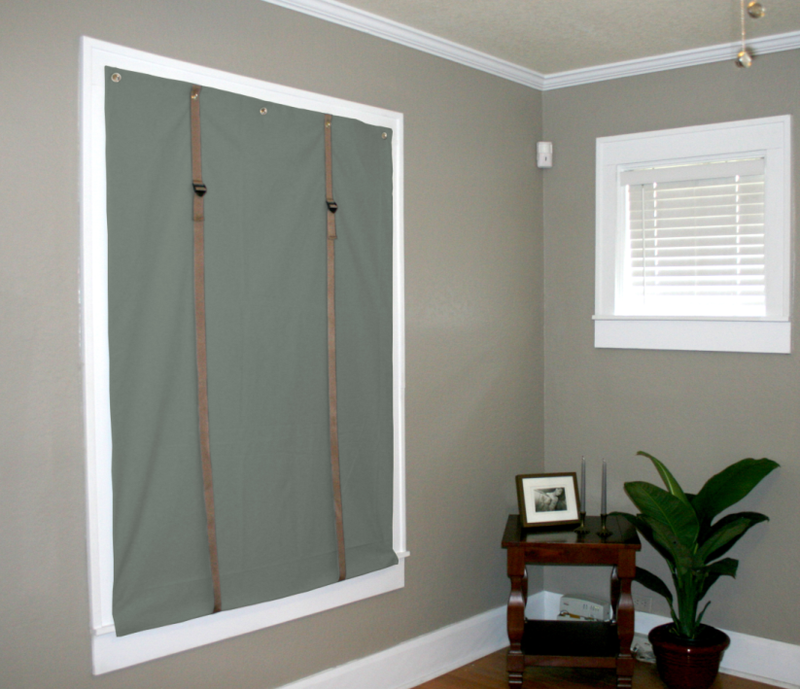 How Effective are Soundproof Curtains?